The Legal Writing Program at Baylor Law is proud to invite you to its annual legal writing competition. The format and the prize pool distinguish this competition from any comparable legal writing competition. 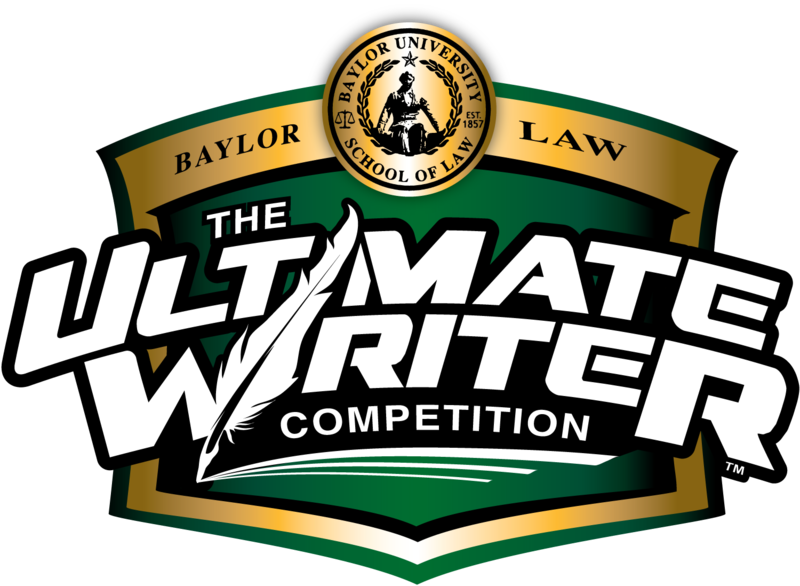 Baylor Law's The Ultimate Writer features a $5,000 prize pool and a prestigious clerkship opportunity! The Ultimate Writer Competition will test your abilities to review a packet of materials and draft a real-world legal document based on the packet and writing prompt. This competition will provide a rewarding opportunity to demonstrate your writing skills in a practical legal setting. Charlie and Lisa Frazier have graciously agreed to underwrite this competition, and the competition’s sponsor is the appellate law firm of Kelly, Durham, and Pittard, LLP. The top three finishers win an interview opportunity for a clerkship with Kelly, Durham, and Pittard, L.LP. in Dallas, Texas, plus a cash prize. Registration opens October 24, 2018 at 9:00 a.m.
You must register before noon on Friday, November 2, 2018 in order to compete. For questions, please contact the competition administrator, Professor Susan Ortiz at susan_kelley-claybrook@baylor.edu.